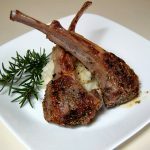 French cut lamb chops, served over a bed of our Garlic Mashed Potatoes with a side of Red Currant Jelly. Use a mortar and pestle to crush the garlic, rosemary, thyme, cayenne pepper, and salt. Add olive oil, stir to make a paste. 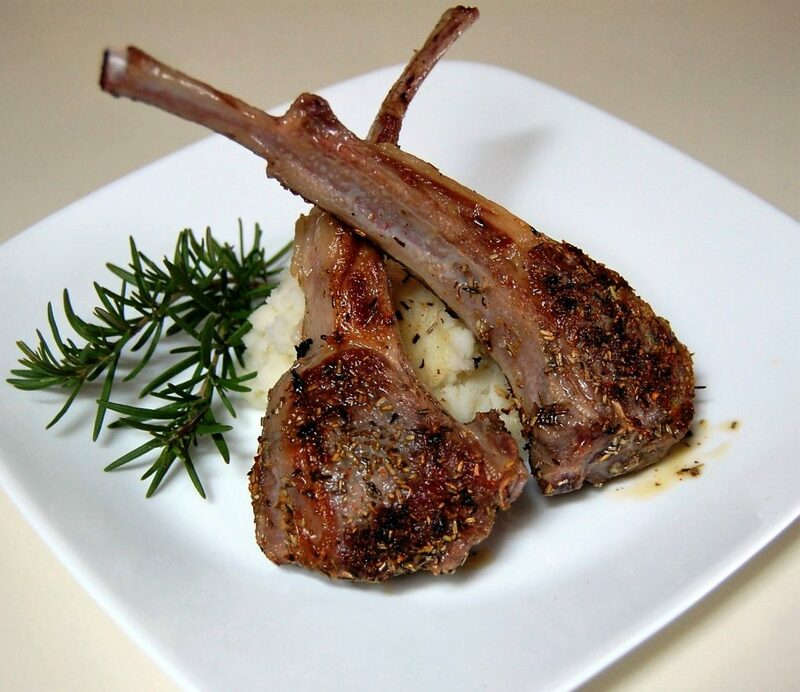 Using your hands, rub the rosemary mixture on both sides of the lamb chops. Marinate for at least 1 hour in the refrigerator. Remove from refrigerator and allow the chops to come to room temperature, it will take about 20 minutes. Cook's Note: Serve over Garlic Mashed Potatoes with our Red Currant Jelly, if desired.